After a tiring day at work, wouldn’t it be nice if you can cast aside all worries and go on an escapade? 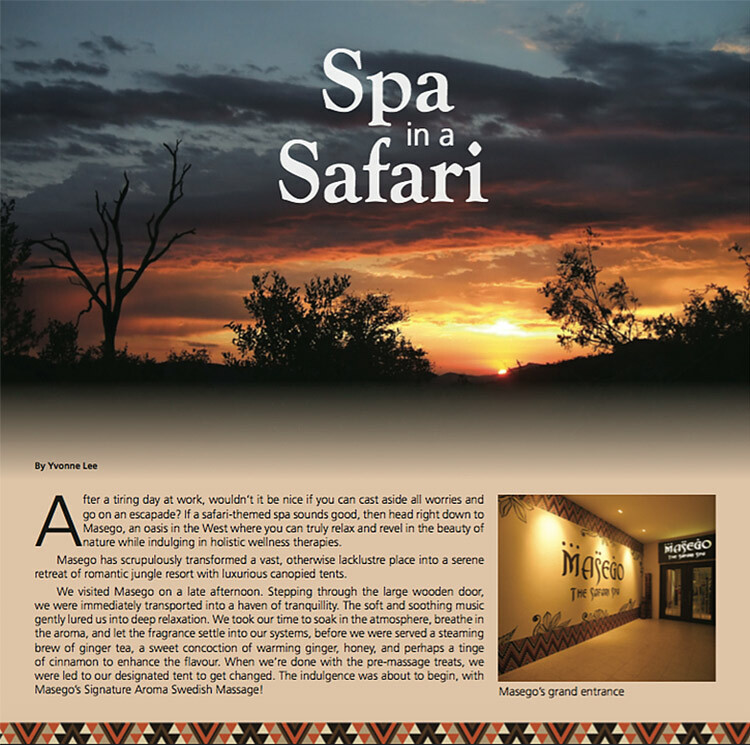 If a safari-themed spa sounds good, then head right down to Masego, an oasis in the West where you can truly relax and revel in the beauty of nature while indulging in holistic wellness therapies. Masego has scrupulously transformed a vast, otherwise lacklustre place into a serene retreat of romantic jungle resort with luxurious canopied tents. We visited Masego on a late afternoon. Stepping through the large wooden door, we were immediately transported into a haven of tranquility. The soft and soothing music gently lured us into deep relaxation. We took our time to soal in the atmosphere, breather in the aroma, and let the fragrance settle into our systems, before we were served a steaming brew of ginger tea, a sweet concoction of warming ginger, honey, and perhaps a tinge of cinnamon to enhance the flavour. When we’re done with the pre-massage treats, we were led to our designated tent to get changed. 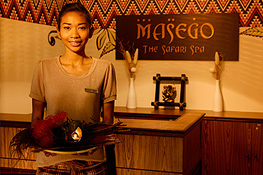 The indulgence was about to being, with Masego’s Signature Aroma Swedish Massage! We made ourselves comfortable on the massage beds and the masseurs promptly started working on our dead-tired muscles. Under their capable hands, our knotted muscles were kneaded, inches by inches until they melted away. The masseurs seemed to know which parts of our bodies needed more attnetion so they focused a little more time and strength to remove those stubborn aches. For me, it was my shoulders and lower back; for my colleague, it was her shoulders and legs. There was a sense of reluctance tugging at my heart when the masseurs announced that our massage was over. That’s when you know you have experienced a great massage that left you exceptionally relaxed. You don’t need to spend hours on a massage. A good one done within an house should leave you relaxed and recharged. 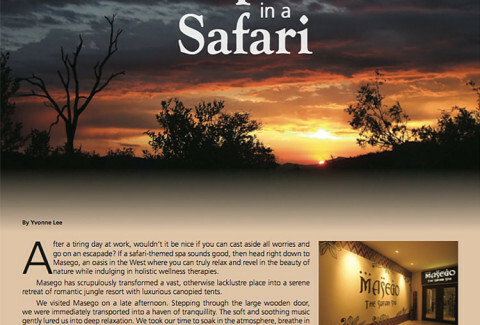 We went for the basic 1-hour massage with Masego and were rewarded with immense satisfaction. Not only did we walked out feeling brand-new. we regained energy to move on. That is the intricate benedit of a good massage! So the next time you feel anxious, depressed or simple detached, reconnect with your soul through a good massage.